AMP Capital has shaken up the manager menu for its Responsible Investment Leaders (RIL) global equities product in an effort to prepare the fund for changing market conditions and bolster environmental, social and governance (ESG) credentials. 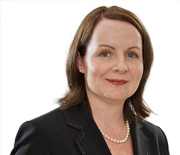 In a note to clients last week, Rebekah Swan, AMP Capital NZ head of distribution, says the RIL international shares fund took on two new managers while dropping one strategy earlier in August. Following the re-do, Boston Partners and C WorldWide (formerly known as Carnegie) have been granted new core global equity mandates accounting for 35 per cent and 15 per cent, respectively, of the A$550 million AMP fund. The change also saw AMP cut the Investec 4Factor Global Equity allocation while bumping up exposure to the other incumbent manager, Lazard. Under the new mandate, Lazard, which manages 40 per cent of the total fund, will move from a developed world benchmark to the MSCI All Country World Index after expanding its portfolio reach into emerging markets. Despite losing the core global equities spot, Investec retains a role in the AMP fund with its 4Factor Emerging Markets strategy. The core international shares product targets a 10 per cent exposure to the AMP Capital Emerging Markets RIL fund, which splits management duties between Investec and the Colonial First State-owned Stewart Investors. The AMP Capital client note says the Boston strategy has a strong ESG bent using a scoring process pioneered by sustainable investment specialist, RobecoSAM. Similarly, the AMP fund invests into the C WorldWide Global Ethical strategy. The Copenhagen-based C WorldWide changed its name from Carnegie Asset Management in March 2017. According to the latest update, the Australian-domiciled AMP Capital RIL International Shares Fund returned an annualised 1.92 per cent after fees since inception in 2001 compared to the benchmark 3.14 per cent as at the end of June this year. The NZ RIL Global Shares fund, which has over NZ$60 million under management, invests into the Australian vehicle. Swan says in the client note: “The existing strategy has performed well over the long term, however AMP Capital Australia believe by increasing the investment style diversification within the RIL International Share Fund, they can improve the performance consistency at market inflection points. AMP completed the transition to the new manager line-up on August 10.